It was an exciting week for gold as we saw its price go up $41 in just one day. It remained steady in the beginning/middle of the week before skyrocketing on Thursday. Today it is down slightly but still over $1,300 at about $1,315. All of this occurred in the context of an Iraqi civil war, tensions on the Ukraine/Russia border, oil and natural gas supply threats, and economic statements and policies made by the Federal Reserve and its chairwoman Janet Yellen. Up until Thursday morning, gold was holding steady at around $1,271.50 an ounce in anticipation of the next Federal Open Market Committee (FOMC) statement and a press conference by Fed chairwoman Janet Yellen. Traders were also avoiding risk during unsteady times in Iraq, as militant groups seized partial control of Iraq’s largest state-run oil refinery. Additionally, Russia cut off Ukraine’s natural gas supply, asking for Ukraine to start paying for their natural gas in advance from that point on. The heavily anticipated Fed meeting and statement came and went on Wednesday evening, and the announcements made were mostly in line with what was expected. Yellen and the Fed gave a downgraded forecast for U.S. economic growth over the next year and announced a tapering off of the Quantitative Easing (economic stimulus) program. The announcement signals continued low interest rates. Yellen acknowledged that an economic rebound is currently happening after a rough winter, but it is not going at a pace fast enough to pick up for lost ground. Gold finally broke $1,300 on Thursday, and quickly. It had skyrocketed by $41 by the end of the trading day. By just 10:00 a.m. EST, gold had hit $1,288.40 per ounce, an increase of $15.60 or 1.2% – its highest price since May 27. By 1:02 p.m. EST it was at $1,314 an ounce. What Happened to Gold Yesterday – Who, What, When, Where, and Why? The Fed statements made on Wednesday were in line with what was expected, so why did gold skyrocket at a rate that seems blown out of proportion? Brendan Conway of Barron’s and the analysts he quotes in his article believe investors are doubting the Fed and fearing inflation more than Fed officials are. One analyst thinks the market “blatantly disagreed with” Janet Yellen’s comments. We gave you the who, what, when, where, and why of gold’s behavior this week in the market. 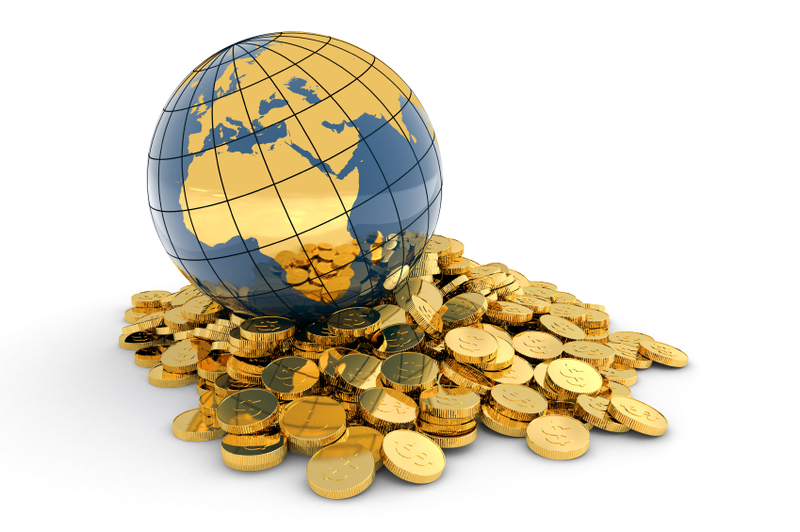 When the rest of the world and the economy seem unstable and out of your control at the time being, investors often turn to gold, which has historically proven to be stable in value over the long term. So while the world may seem volatile in the short term, this is not true for gold in the long term. Geopolitical tensions and monetary policy decisions may be out of your control, but your gold will always be there and have some value regardless of what is happening in the world. Gold can also help secure your retirement funds for the future through a Gold IRA. Call American Bullion today at 1-800-326-9598 to speak with a precious metals specialist and have any of your questions answered.